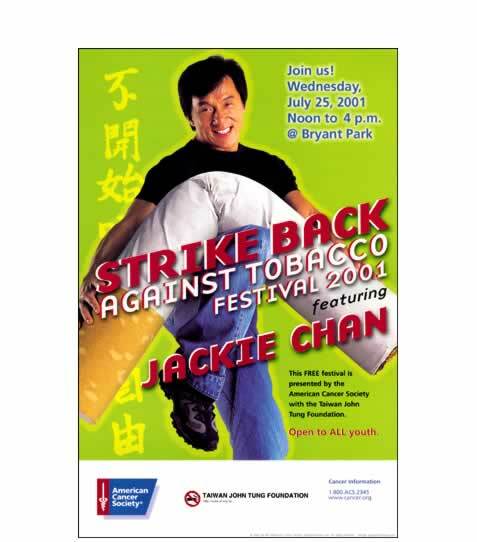 Representing the American Cancer Society, Jackie Chan appeared at an anti-smoking rally in New York's Bryant Park. 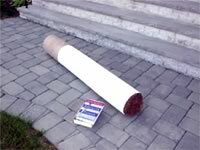 To make his point, the comedy star smashed up a 5-foot long cigarette prop made by Michael for the event. The prop is constructed like a big pipe cleaner, with wire inside, so it can be bent and then un-bent for re-use. Michael has made many oversized props for photo shoots, events and exhibits including an 8-foot wide Canon camera that dropped from heaven at a press conference and a 6-foot long telephone handset that appeared on the cover of the New York Times Magazine. Michael can create the props, large or small, to make your event eye catching and successful. Call for additional examples or to discuss your requirement for a custom made prop.